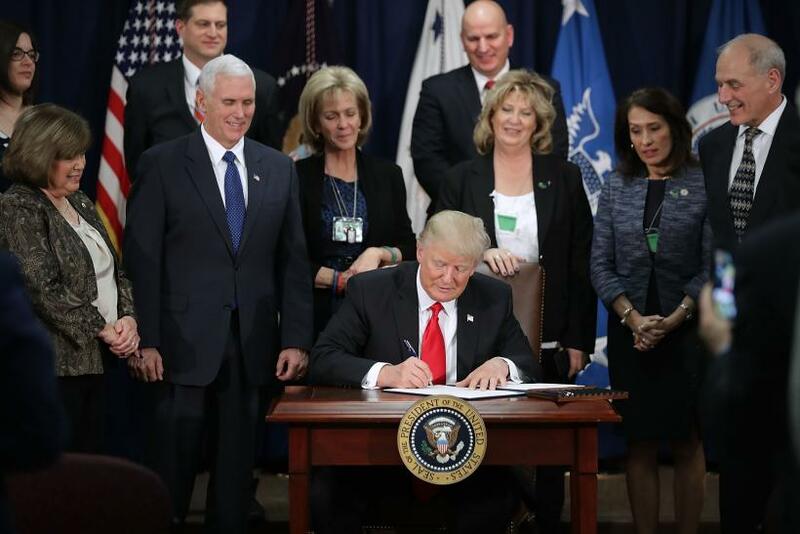 President Donald Trump signed an executive order authorizing a wall being built along the U.S. southern border with Mexico Wednesday. It was the latest campaign promise that the newly sworn in president made good on during his first full week as commander in chief. The order came one day after it was announced that Trump would take measures to enact a travel ban on people coming to the U.S. from certain predominately Muslim countries. The White House subsequently released the "Border Security and Immigration Enforcement Improvements" to the public Wednesday afternoon. Sec. 15. Reporting. Except as otherwise provided in this order, the Secretary, within 90 days of the date of this order, and the Attorney General, within 180 days , shall each submit to the President a report on the progress of the directives contained in this order. Will Trump's Border Wall Work?